Everyone benefits from equal taxation of all gods and goods and services.....legal...illegals....matters not....everybody pays........and we have a solvent economy in no time flat.....Chris Christie Chris T 2012.
if we didn't have to pay "taxes" to the Fed, and the war machine, we could afford better education and some new job creating infrastructure... The Fed has drained us dry, it's time to say bye bye, for the leach to drop of this planet with all its family members . Be the change you want to see in the world. I haven't paid the IRS since 1989 when the kids left home - I always got a return til then and wasn't about to start paying for things I couldn't afford for them! - I made sure that I didn't owe them a dime by the end of the year, and I refused to go in debt... for any reason (mainly because I never established "credit" - I used cash) and did nicely without it. I seem to be in a nostalgic mood but some of these clips from years ago can prove to be interesting. Have you sen this one Star? Chinese National Television Xinhua news is now reporting an impending extraterrestrial disclosure by the Obama administration. The unprecedented national China TV news bulletin that U.S. President Barack Obama may be preparing to disclose U.S. relations with specific extraterrestrial races was broadcast on the official channel Xinhua on January 4, 2011 on the eve of China President Hu Jintao's state visit to the United States. President Hu is presently visiting a Chinese language facility in Chicago, IL as of this writing on January 21, 2011. The Xinhua China TV broadcast on the official news channel stating that President Barack Obama may be preparing an official U.S. disclosure of the extraterrestrial presence by one perspective may be fueled by an “Extraterrestrial disclosure race” now developing between China, the U.S., and other major space powers as to which nation will be the first nation will use the authority of its Head of State and secret ET files to authoritatively declare there is an extraterrestrial presence on Earth. The first nation to authoritatively announce the Extraterrestrial presence stands to gain world prestige and trust in the eyes of the increasingly extraterrestrially-sophisticated more than 6.89 billion persons populating the Earth at this time. One journalist, Michael Cohen, notes that “Prime time TV news broadcasts announcing the upcoming US UFO admission…. have been beamed to the living rooms of hundreds of millions of intrigued Chinese citizens. “Commentators and analysts now believe a new cold war over alien and UFO secrets is underway between the two superpowers. “The historic decision [by Xinhua by Chinese national Television agency] to broadcast this news is seen as stemming from fears that the US might steal China's glory and admit an alien presence on Earth before Beijing does. “In fact, neither side particularly wants to admit to the public that they are in contact with aliens, however at the same time, they do not want the other side to do so first. In other words, if there is UFO admission both nations want it to be their moment of glory. “The recent news broadcasts are probably a way for progressive elements within the Communist party to nudge the notoriously cautious President Hu Jintao by bringing to his attention the possibility that America might steal his moment and come clean. In 2010 there were major overflights of UFOs over Chinese airports, shutting the airports down. Whether all of these are of extraterrestrial origin remains to be seen. The extraterrestrial presence appears to be a more open one in mainstream Chinese science than in mainstream western science. “As if that wasn’t spooky enough, scientists at Nanjing’s Purple Mountain Observatory say that during last summer’s eclipse, they filmed an unidentified flying object near the sun for a full 40 minutes. As observatory director Ji Haisheng says, it will take months of footage analysis before the team can reach a conclusion, but still! “Lou Jinhong, Director of the Shanghai UFO Research Center, is Shanghai’s No. 1 UFO expert. He served in the PLA’s No. 9 Aviation School in the 1970s, studied aircraft and later went on to work at the Shanghai Aircraft Research Institute. In short, he knows his flying objects, identified or otherwise. “Lou acknowledges that 95 percent of reported UFO sightings are just hoaxes or misunderstandings, as witnesses often mistake Venus or Jupiter for more mysterious heavenly bodies. “Lou argues that it’s only rational to assume Earth is not the only special planet. The conditions necessary for developing life aren’t so extreme, so we shouldn’t be the only sons of the universe, he says. Speculation that Barack Obama has a mandate (or an inherited legacy) to be the ET Disclosure President is already fueling new rumors of an extraterrestrial disclosure by the U.S. Commander in Chief in 2011. "All News Web has received information from government insiders close to the US President that Barack Obama has been given the go ahead to make an important "off the cuff" announcement regarding UFO visits and US contact with aliens. "Allegedly DARPA has given this move the green light. The comments by the President will be made within the next month. "Our sources claim this will not be outright admittance of UFO visits and contact with aliens, however the comments will come as close to admittance as any President has to date and will be made in the context of a speech on an entirely different matter. "From what we understand The President will concede that there is 'some evidence' to suggest aliens might have attempted to contact Earthlings. "All of this is said to be part of a warm up program leading to eventual outright admittance of knowledge of UFO and alien visitation by major world governments within three years." There are multiple reasons why 2011 (or 2012 or beyond) might be the year the U.S. government finally confesses to a more than 60-year-old working relationship with many species of intelligent civilizations in the multi-verse. As a reporter, I am investigating the existence and information about the reported council of alien civilizations as a 'working hypothesis' based on evidence presented initially by the now deceased Stanley A Fulham, and now also by other apparent communication channels of this same regional galactic governance council. Here is a recent article and video interview I completed about reported communications between the regional galactic governance council and a former NATO-Spanish intelligence agent, who is also a contactee of the council in addition to Mr. Fulham. In the interview, the former NATO-Spanish intelligence agent states that he was contacted interdimensionally on Nov. 9, 2010 by a source claiming to represent the council that that summarized much of the reported extraterrestrial council plan that Stanley Fulham reported in his book Challenges of Change. The source then stated that there would be UFO sightings over New York City (Manhattan) on Nov. 24, 2010 to as a confirmation of the validity of this information. The NATO-Spanish intelligence agent recorded this prediction publicly before Nov. 24, 2010. As can be seen in the above article, there were in fact large-scale UFO sightings video-taped over New York on Nov. 24, 2010. Since Stanley A. Fulham had accelerating pancreatic cancer in Nov. 2010, what seems to have occurred is that this interdimensional source stating it is representing the galactic governance council is now coming through other individuals with new information and predicted, confirmed UFO sightings. The essence of the council's message is that in an extraordinary meeting around Jan 2010 (Earth time), members of the council met and determined to set aside the law of non-intervention, as it made a factual determination that the ecology of the Earth was on the verge of collapse and beyond the capability of human technology to forestall collapse and species extinction. Accordingly, the council indicated it had made a decision to intervene with advanced technology (probably Pleiadean) by 2015 (if not before) and clean the atmosphere of the Earth. The council is also seeking to make a world speech explaining their ecological plan in 2014 (if not before). Both Mr. Fulham and the NATO-Spanish intelligence officer mentioned that their interdimensional sources indicated large-scale social, financial, governmental, etc changes would take place on the planet 2011-14. From the available evidence, it would seem that the galactic governance council has the ability to identify and create credible sources for further information and updates (should all of this scenario be in fact true and authentic). I would note the Mr. Fulham's book is the product of 10 years of research and interaction with a council-connected source, and contains a blueprint of the council plan 2010-2015. In his last communiqué on Dec. 6, 2010 before his untimely death, Stanley A. Fulham emphasized that breaking the conspiracy of silence by the U.S. and Russia on the extraterrestrial presence was a major goal of the galactic governance council. The NATO-Spanish intelligence agent also stated that he was told the galactic governance council would be sending communications to the U.S. government in December 2010 urging them to join in the extraterrestrial intervention and ecology-cleaning process. Scientists such as Dr. Carl Johan Calleman states that starting in March 2011, the singularity - or inter-dimensional portal - at the core of our universe will commence emanating consciousness energy waves of enlightened unity consciousness. These consciousness energy waves of enlightened unity consciousness are mediated throughout the universe, through the inter-dimensional portal at the core of our galaxy (the galactic black hole). Our minds in 2011 are now radiated and surrounded by consciousness energy waves of enlightened unity consciousness, and we humans can access these by simple acts of will and attitudinal, emotional and perceptual openness. Recent public opinion polls show that 48% percent of adults North Americans already believe that extraterrestrials are visiting Earth. Dr. Calleman writes, “To begin with, for all that we know it is designed to bring a shift to unity consciousness where the human mind no longer will be dominated by any dark filter. We will in other words become “transparent” and I believe this is the particular consciousness – seeing reality the way it is with no separation - that so many are waiting for. Not just any consciousness, but one that transcends the dualities of the past and aids the human beings to see the unity of all things. “The reason that this kind of unity consciousness can be beneficial to the planet, and to mankind, is that it is one that leads to the transcendence of all separation (between man and woman, man and nature, ruler and ruled, east and west, etc). I feel that without the manifestation of such a shift in consciousness the world will sooner or later come to an end. The U.S. government may chose to allow its Commander in Chief to make a statement about disclosure in 2011 because the forces for ET disclosure within the U.S. government will have gained the ascendancy within the inner workings of the ‘black budget’ and the constitutional government. To date, Barack Obama has been a public disappointment on the issue of extraterrestrial disclosure. Reason # 3 would require a great deal of internal transformation within the black budget and constitutional U.S. governments. Reason #4 – Please go Comments section below - Add your own reasons why (or why not) the government of China and the Obama administration may be in a disclosure race as to who will publicly make an extraterrestrial and UFO disclosure announcement in 2011 (or subsequent years). Even if this is true.....little confidence do I have......that what would be disclosed would be anything close to the truth of what is actually going on. that, Markz, is pretty much of a given, but apparently the Corps want to start selling the technology they have been producing for the "secret gov" for decades ... and they can't, until disclosure ... because there is no way to explain this technology, without disclosing where it came from. in the mean time ... the UFO are becoming more and more noticeable ... as they begin to prepare the citizens of Earth to accept the idea that they are here and that they mean us no harm ... until they stage their phony "alien attack" that will unify every nation on earth, against a common enemy ... pretty clever eh? But anyone who researches UFO will find that they have been spotted for centruies, perhaps millinium, and have never attack - so why would they now? ... No doubt the invading fleet will have been built in the USA ... because the secret gov - soon to be the NWO, is the only group that would stand to gain ... and come out of this looking like a Hero. Aussie Alien ... discern for yourself ... why would it hang around for its picture to be taken ? the catastrophic events that were possible components of the birth pains of earth have been mitigated already. There’s enough people around the planet to stabilize it. And this, by the way, is a significant reason for what some people would call over-population. In reality, it requires a very large human population on the planet to get a stabilizing force, energetically speaking...to entrain a higher order field on the planet. And yet, this is precisely what you will be asked to do. Whenever you feel your ability to radiate the love-centered life is in jeopardy or diminishment, you need only to call on your higher Self to replenish it, to tap into the reservoir of love and compassion that surrounds you at all times. and compassion that surrounds you at all times." After receiving such a positive response to my first "NASA Alien Anomalies" compilation video, I decided I would do a follow-up effort, presenting a few more of my favorite anomalous audio soundbites, videos, and still images that I have archived during my years of research and investigation into this most monumental of all cover-ups. Hopefully, you will see some new evidence here in this video that you were not aware of, as I made sure to include a few less-publicized (though in my opinion still highly compelling) images in this presentation. I also include audio portions of another radio interview with Doctor Edgar Mitchell , Lunar Module Pilot for the Apollo 14 mission and the sixth man to walk on the Moon. This particular interview is from July of 2008, and as you will hear, Mitchell is VERY candid about the existence of intelligent extra-terrestrial life and of the long-term and on-going effort to conceal this information from the public. In addition to his fame as an Apollo astronaut, here is a brief look at some of Doctor Mitchell's other very impressive credentials. He is not exactly some "crazy hick farmer talking about swamp gas", now is he? LUNAR DISC WITH BRIGHT DISC PARTIALLY COVERING MOON". Option #3 - Image tampering. This is the only remaining option, and it's consistent with what we see in the photograph: the conclusion has to be that image manipulation is the right answer. The high-resolution AFJ image clearly shows that the nearest or "bottom" Earth partially covers the original or "top" Earth, and completely hides the underlying detail from view; this is simply not possible in the case of a reflection or a double exposure. As I briefly mentioned earlier, the reason for compositing the second Earth into the original frame, was probably to hide an object that was visible in front of the original Earth. This could not have been cropped out of the picture without removing a chunk of the Earth along with it, so instead a "reflection" was added to hide whatever is underneath it from view. dimensional frequency grid with its inherent limitations intact. intelligence restructures the face of humanity, only they will really see 2012 as it is. Last edited by starduster on Wed Feb 16, 2011 10:51 pm, edited 2 times in total. We know no revisioning is taking place with starduster, maybe a reversion but not a revisioning. Former Minister of National Defense in Canada, Paul Hellyer discussed how Col. Philip J. Corso's work on UFOs inspired him to get involved with UFO disclosure, and the implications it has for the future of the planet. He personally spoke with a retired Air Force General who confirmed Corso's information, and told him that the US military had face-to-face meetings with ETs. 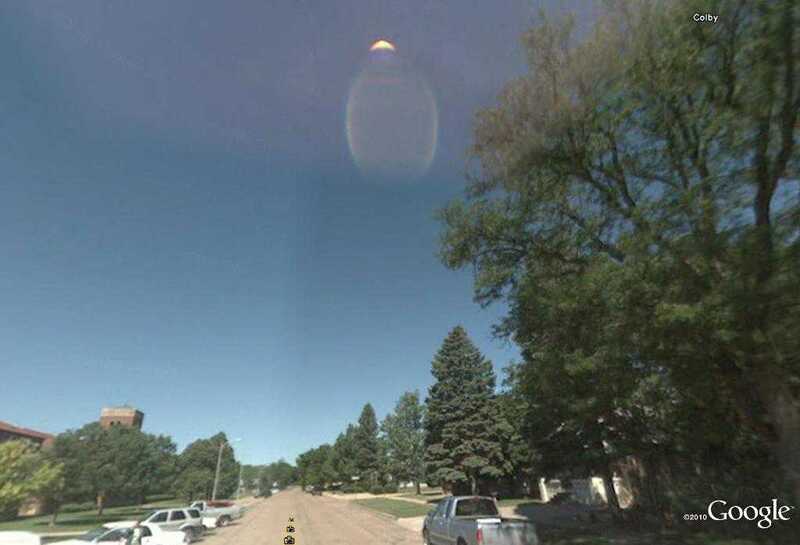 In 2005, Hellyer attracted international attention by going public with his belief in UFOs. with a lot more footage in this vid. - Sightings coincide with natural disasters. A number of UFO sightings, some coinciding with the natural disasters that happened, were videoed in Japan over the past month. A week before the 9.0-magnitude earthquake, on March 3, four UFOs were filmed hovering over the Haneda Airport. The four objects, three appearing as individual lights and the other appearing as three lights closely next to each other, stayed still in the sky during the video while airplanes flew by. During the devastating tsunami and earthquake on March 11, multiple UFOs were sighted. In live news footage of the tsunami, objects moving rapidly against the advancing waves can be seen jetting off into the distance or ascending rapidly out of sight. In addition, a live CNN news segment shows an object hovering close to the damaged nuclear reactor in Fukushima. The object hovers very low and close to the billows of smoke rising from the reactor, before slowly moving off and disappearing. UFO sightings coincided with numerous eruptions of the Sakurajima volcano that also occurred on March 11. As seen from several angles of live streaming survey cameras, UFOs hover close to the volcano during its eruption, and bright lights travel at the base of the mountain. A similar sighting was spotted during the eruption on April 3, during which large blue and green orbs were also seen appearing from time to time. Similar footage of large UFO formations from the same cameras was posted following the volcano’s previous eruptions in November and December of 2010. Bright orbs can be seen descending toward the volcano and hovering above it for extended periods of time. While filming an aftershock around 5 a.m. local time on March 12, a YouTube user saw a diamond-shaped bright light moving in the sky in a way that’s different from helicopters. The user commented on YouTube that he or she observed the sky the next day, and couldn’t find a star at the place where the UFO was spotted. On March 21, a black object was seen in the sky, seemingly rotating and changing shape, sometimes being round, sometimes donut-shaped, and sometimes like a spiral wing.